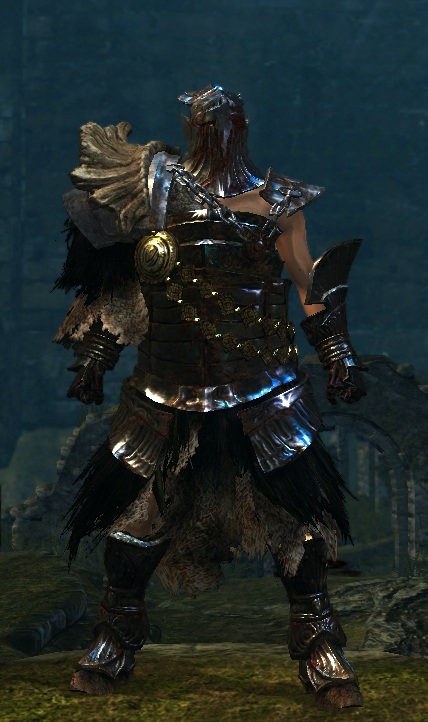 Armor of Hawkeye Gough, one of Gwyn's Four Knights. Armor donned by Gough since his days as a dragonslayer. The medallion, bequeathed by the Lord Himself, and the dragon bone pauldrons are symbols of the highest honors.